She actually records a new CD in solo with own compositions. 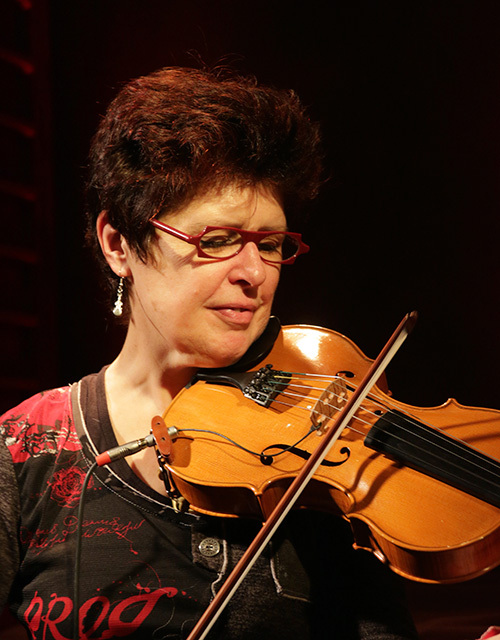 As a guest or session musician, Françoise Derissen has played on many recordings, for example with Christian Merveille, Jean-Pierre Catoul, Einsturzende Neubauten, Daniel Romeo, Fabrice Alleman, Olivier Terwagne, Renaud Lhoest, etc. In summer 2016, she taught and played violin jazz in the festival “Clazz international” in Italy.